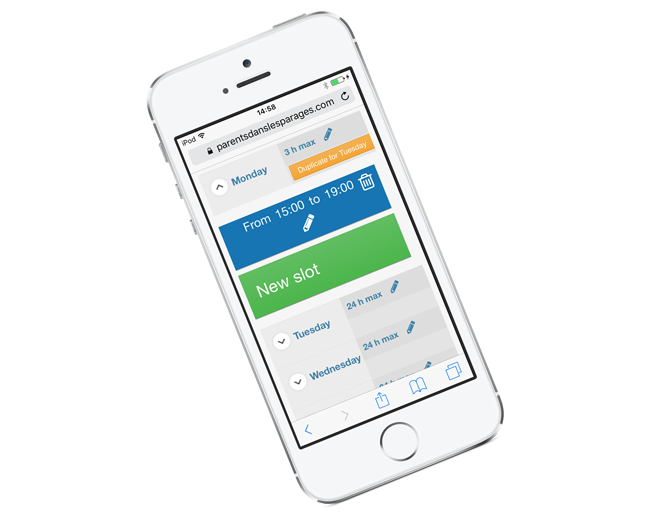 Expand the app restrictions outside the authorized time slots to prevent connection during bedtime, at school, etc. Only allow the apps dedicated to your kid's age group: kids (-10), tweens (-12) and teens (-17) have their specific filtering level. These limits are established according to their age and needs. 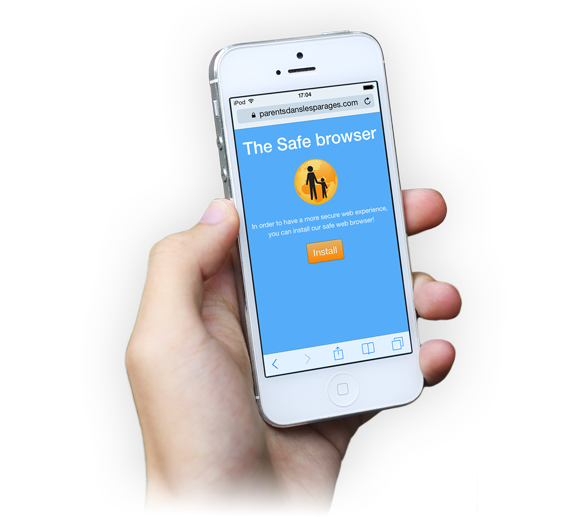 Download our safe browser with no additional charge to complete your iPhone parental control. Define what movies and TV shows can be played by your kid according to his age. Disallow explicit content in audio content (music, podcast, iTunes U) and books (iBookstore). Your kid is protected on his phone everywhere, on any type of connection: 3G, 4G, Wi-Fi… Browse the Internet for his homework, connect to his friends, listen to music… All his online activities become safer thanks to our iPhone parental control.